Sometimes the wrong choice can be just right . . .
Fun and fearless, Cora Lewis knows how to keep her tattooed "bad boy" friends at the Marked in line. But beneath all that flash and sass is a broken heart. Cora won't let herself get burned again. She's waiting to fall in love with the perfect man--a baggage-free, drama-free guy ready for commitment. Then she meets Rome Archer. 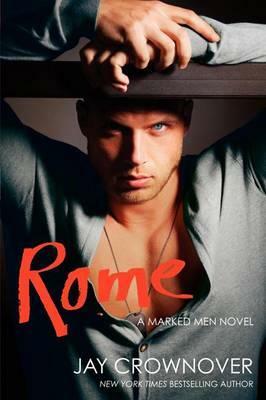 Rome Archer is as far from perfect as a man can be. He's stubborn, rigid, and bossy. And he's returned from his final tour of duty more than a little broken. Rome's used to filling many roles: big brother, doting son, supersoldier--but none of those fit anymore. Now he's just a man trying to figure out what to do with the rest of his life while keeping the dark demons of war and loss at bay. He would have been glad to suffer through it alone, until Cora comes sweeping into his life and becomes a blinding flash of color in a sea of gray.Perfect may not be in the cards, but perfectly imperfect could just last forever . . .
Jay Crownover is the New York Times and USA Today bestselling author of the Marked Men and Welcome to the Point series. Like her characters, she is a big fan of tattoos. She loves music and wishes she could be a rock star, but since she has no aptitude for singing or instrument playing, she'll settle for writing stories with interesting characters that make the reader feel something. She lives in Colorado with her three dogs.